"The bill is passed without objection." With those words, Amateur Radio history was made on September 12, when the US House of Representatives approved the Amateur Radio Parity Act, H.R. 1301 on a voice vote under a suspension of the rules. The focus of the campaign to enact the legislation into law now shifts to the US Senate. The House victory culminated many years of effort on ARRL's part to gain legislation that would enable radio amateurs living in deed-restricted communities to erect antennas that support Amateur Radio communication. The measure calls on the FCC to amend its Part 97 rules "to prohibit the application to amateur stations of certain private land-use restrictions, and for other purposes." While similar bills in past years gained some traction on Capitol Hill, it was not until the overwhelming grassroots support from the Amateur Radio community for H.R. 1301 shepherded by ARRL that a bill made it this far. The legislation faces significant obstacles to passage in the US Senate, however. "This is huge step in our effort to enact legislation that will allow radio amateurs who live in deed-restricted communities the ability to construct an effective outdoor antenna," ARRL President Rick Roderick, K5UR, said. "Thanks to everyone for their help in this effort thus far. Now we must turn our full attention to getting the bill passed in the Senate." 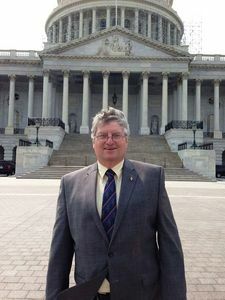 ARRL Hudson Division Director Mike Lisenco, N2YBB, who chairs the ARRL Board's Legislative Advocacy Committee, has been heavily involved in efforts to move H.R. 1301 forward. "This has been a multi-year effort that is finally seeing some light," he said. "The passage of the bill in the House is a major accomplishment, due to the hard work of so many -- from the rank-and-file member to the officers and directors." Lisenco said it's not a time to rest on our laurels. "We are only halfway there. The focus now shifts to our effort in the Senate," he said. "We are beginning a massive e-mail campaign in which we need every member to write their two Senators using our simplified process. You will be hearing from President Roderick and from your Directors, asking you to go to our Rally Congress page. Using your ZIP code, e-mails will be generated much like our recent letter campaign. You'll fill in your name and address and press Enter. The e-mails will be sent directly to your Senators without you having to search through their websites." "For some this is merely a nuisance," Kinzinger said, "but for others -- those that use their Amateur Radio license for life-saving emergency communications -- a dangerous situation can be created by limiting their ability to establish effective communication for those in need." Kinzinger said that in emergencies, hams can provide "a vital and life-saving function" when conventional communication systems are down. He also praised the Military Auxiliary Radio System (MARS), a US Department of Defense-sponsored program, comprised largely of Amateur Radio volunteers, that also supports communication during emergencies and disasters. 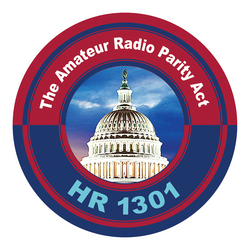 The earlier U.S. Senate version of the Amateur Radio Parity Act, S. 1685, no longer is in play, and the Senate is expected to vote by unanimous consent on the version of H.R. 1301 that the House adopted on September 12. 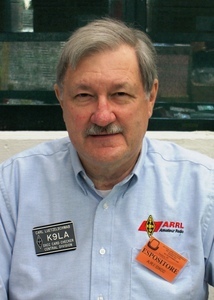 Propagation guru Carl Luetzelschwab, K9LA, says that, while conditions on 12 and 10 meters will pick up as they always do in the fall, F2 propagation on those bands will decline thereafter, with only sporadic E during the summer months as a possible saving grace. On the other hand, the lower bands -- 160, 80, and 40 meters -- should be good going forward, and 20 and 17 meters will be the mainstays of daylight HF propagation. Luetzelschwab offered these observations during an August 23 World Wide Radio Operators Foundation (WWROF)-sponsored webinar "Solar Topics -- Where We're Headed." He said data suggest that Solar Cycle 24, the current solar cycle, will bottom out in 2020, and he advised that radio amateurs may need to lower their expectations on the higher bands (and 6 meters) looking beyond that. "I think the only conclusion we can make with some confidence is that we are headed for some small cycles," he told his audience. He cited various evidence related to the Sun's polar fields -- which appear to be decreasing in strength, A index trends, and cosmic ray data to support his assertion. Luetzelschwab cautioned, however, that past performance does not necessarily predict future performance. "There seems to be a good correlation between how long a solar minimum is and the next solar cycle," said Luetzelschwab. "The longer you spend at solar minimum, the smaller the next cycle." He observed that hams active since the 1950s and 1960s have experienced short inter-cycle solar minimums of approximately 2 years, until the one between Solar Cycle 23 and Solar Cycle 24, which lasted about 4 years. He also allowed that the science is not fully understood, and that some things appearing to be patterns may just be coincidences. On the other hand, he said, it looks like the downward trend of disappearing sunspots has leveled off, suggesting that Solar Cycle 25 may see a lower smoothed sunspot number as opposed to zero or near-zero sunspots. Counting those sunspots can be a subjective business. "That's a tough job," he said of the task, noting that it appears observer bias also has been a factor over the years, affecting historical sunspot data. "We now have new corrected data that are believed to be more accurate." Luetzelschwab's article "The New Sunspot Numbers," appearing in the October issue of QST, discusses the new sunspot numbers. Luetzelschwab cited historical sunspot cycle data going back centuries -- including the "Maunder Minimum" of zero and near-zero sunspots between the years 1645 and 1715 and a later, less-drastic "Dalton Minimum." He pointed out that over the last 11,000 years, 19 notable grand maximums -- including Solar Cycle 19 and the cycles around it -- and 27 notable grand minimums were recorded. "We're likely to have more of both grand maximums and grand minimums in the future," he predicted. The current system of numbering sunspot cycles begins with Solar Cycle 1 in the mid-18th century. "We don't fully understand the process inside the Sun that makes solar cycles," Luetzelschwab said. "Thus, you should exercise caution with statements seen in the news." 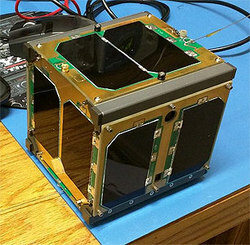 A NASA Cube Quest Challenge (CQC) team partnered with AMSAT-NA is among the five CQC teams to receive $20,000 each from the space agency as part of a competition that could lead to a lunar-orbiting Amateur Radio satellite. The Ragnarok Industries Nano-Satellite Company team, comprised of former NASA Goddard Space Flight Center PhD engineering interns, is designing the 6-unit (6U) Heimdallr CubeSat to test advanced propulsion and communication technologies for lunar and deep-space missions. AMSAT would develop the 5 GHz uplink/10 GHz downlink -- the so-called "five and dime" paradigm -- Phase 5 Amateur Radio transponder for the spacecraft, and AMSAT's Ground Terminal initiative is supporting the effort. The Heimdallr team was among five teams to score highest in the first of four "ground tournaments" (GT-1) making up the initial phase of the $5 million CQC, although it missed out on another $30,000, because it was not among the top scorers in the second ground tournament. The three teams with the highest total cumulative scores will be offered rides as secondary payloads on the first Space Launch System mission/Exploration Mission 1 (EM-1) in 2018. "Cube Quest is an opportunity for non-government CubeSat developers and builders to compete in lunar orbit and deep space for accomplishments in communications, navigation, and longevity," said CQC Competition Manager Jim Cockrell of NASA's Ames Research Center. 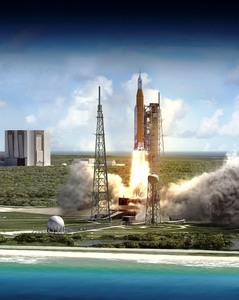 Cockrell likened a ground tournament to a "mission concept review," where teams present initial spacecraft designs, and no hardware is involved. AMSAT P5 Project Manager Howie DeFelice, AB2S, said that at the end of the SLS mission, AMSAT would take control of the satellite and operate it in lunar orbit. "This will be AMSAT's first P5 satellite," DeFelice said. "It will also be the most advanced satellite since AO-40, even though it will be smaller than AO-10 and AO-13. At 6U it will be about the size of two reams of paper stacked together." DeFelice said Ragnarok is in the running for a launch, "but it is very competitive, and we are underdogs." The ultimate goal of the competition is to send CubeSats into lunar orbit or deep space. NASA is offering a total of $3 million in prizes in the "Lunar Derby" portion of the competition -- both for being able to enter lunar orbit and to meet communication and longevity goals. The Heimdallr satellite -- named for a Norse deity -- plans to test advanced propulsion and communication technology. According to information filed for International Amateur Radio Union (IARU) Satellite Frequency Coordination, Heimdallr would be a 3-axis stabilized 6U CubeSat weighing approximately 8 kg. It would have a cold-gas thruster and a star tracker for navigation. Deployable, gimbaled solar panels would produce up to 100 W of dc power. Electric propulsion will be used to achieve lunar orbit. The onboard communication gear would use a combination of omnidirectional and directional patch antennas on one side of the spacecraft. The first part of the Heimdallr mission is to provide telemetry, tracking, and command to obtain lunar orbit, the second is the data downlink experiment, and the final component is to provide a two-way regenerative repeater and analog repeater in lunar orbit for the lifetime of the satellite. The omnidirectional, directional, and analog transponders would downlink in the 10 GHz band, while the uplinks would be in the vicinity of 5.6 GHz. "Heimdallr will feature non-volatile and non-energetic electric propulsion to reach lunar orbit," Ragnarok Industries explains on its website. "By not having a pressurized vessel nor carrying dangerous chemicals, Heimdallr will be one of the safest 6U CubeSats" aboard NASA's EM-1 Mission in 2018. "Coaxial Connectors" is the topic of the current (September 8) episode of the "ARRL The Doctor is In" podcast. Listen...and learn! 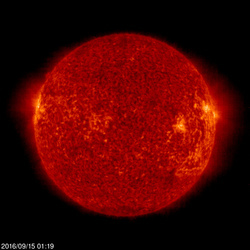 Just ahead on September 22: "Coping with the Solar Minimum." Two radio amateurs are putting on a real back-country adventure for ARRL's National Parks on the Air (NPOTA) program. Dave Swanson, KG5CCI, and Wyatt Dirks, AC0RA, will be backpacking their way across the Channel Islands National Park (NP11) over the September 16-18 weekend. Their primary goal is to give out the park unit, along with the rare CM93 grid square, on Amateur Radio satellites. The team will also have QRP HF and VHF/UHF terrestrial gear. Swanson and Dirks both have extensive experience working the satellites under portable conditions and have secured the special event call sign K6R for their expedition. Detailed information is on the K6R QRZ.com page. Thirty-eight other activations will take place between September 15-21, including Saint Croix Island International Historic Site in Maine, and the Mount Rushmore National Memorial in South Dakota. Details about these and other upcoming activations can be found on the NPOTA Activations calendar. Fifteen of the best on-foot hidden transmitter hunters in the US are back home after picking up seven medals in the 18th World Amateur Radio Direction Finding (ARDF) Championships and World Cup events in Bulgaria. As reported in The ARRL Letter for September 1, Vadim Afonkin, KB1RLI, of Massachusetts, earned a bronze medal in the M40 class of the 80 meter classic event during the ARDF World Cup, an optional competition for individuals that preceded the Championships. Alla Mezhevaya of Illinois won silver in the World Cup 2 meter classic competition in the W35 class. In the September 1 World Cup sprint event, Afonkin took gold in the M40 category, while Team USA Captain Ruth Bromer, WB4QZG, of North Carolina, took bronze in the W60 category. The next day, she won a second bronze medal in the foxoring event. On September 8 during the World Championship events for national teams, Afonkin won an individual bronze medal on a 5.85 kilometer 2 meter classic course, finishing in 1:11:52. Bromer and Karla Leach, KC7BLA, took home a team bronze medal that same day in the W60 category, on a 4.25 kilometer 80 meter classic course. More than 400 competitors representing 39 nations took to the courses near Varna, a popular resort on the Black Sea coast. Competitors were divided into six age categories for men and five for women, in accordance with rules established by the International Amateur Radio Union (IARU). Team USA team members included nine men and six women from eight states, ranging in age from 26 to 74. They qualified for the team owing to their excellent performance in the 2016 USA ARDF Championships in Texas and the 2015 USA ARDF Championships in Colorado. Visit the Homing In website of ARRL Amateur Radio Direction Finding Coordinator Joe Moell, K0OV, for more information on ARDF. -- Read more. 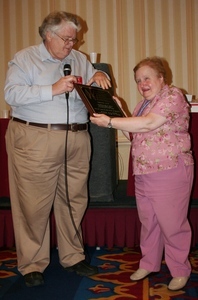 Retiring ARRL Connecticut Section Manager Betsey Doane, K1EIC, was honored on September 10 at the New England Division Convention in Boxboro, Massachusetts, for her many years of service. At the Convention's ARRL Forum, New England Division Director Tom Frenaye, K1KI, presented a plaque to Doane, who is believed to be the dean of the current roster of Section Managers by dint of her 25 years of continuous service in that post. She decided this year not to seek another term of office. "Betsey has been a true pleasure to work with over the years she has been Section Manager," Frenaye said afterward. "She seems to know almost every ham in Connecticut and usually has a story to tell about them. As a former professor, she knows how to work with students and volunteers and developed a great Field Organization team. I know she'll continue to contribute after she retires." Doane was first appointed as Connecticut's SM in December 1991, after the resignation of Caesar Rondina, N1DCS. She has been elected and re-elected as Connecticut Section Manager continuously ever since. Her current term of office concludes on September 30, and Chuck Motes, K1DFS, will succeed her. Doane said she has enjoyed her time as SM. Doane's plaque -- in print and in Braille -- recognizes her "25 years of dedicated and honorable service" as Connecticut SM. Frenaye and New England Vice Director Mike Raisbeck, K1TWF, signed the plaque. In addition to her quarter-century as Connecticut SM, Doane served the ARRL Field Organization as Connecticut Section Traffic Manager from 1982 through 1991. She has remained very active in the ARRL National Traffic Systemâ¢ and especially in the NTSâ¢ Eastern Area. She is currently daytime cycle manager of the First Region Net. She continues to hold an appointment as an Official Relay Station and has been an ORS for nearly as long as she has been a radio amateur. Betsey Doane and her twin sister Barb Lombardi, K1EIR, were licensed in 1958, and both began handling message traffic soon after. She has been an Official Emergency Station since April 2010. Doane not only has the longest tenure among current SMs, she is in the Top 5 of all SMs and SCMs (Section Communication Managers) past and present in terms of years of service, ARRL Field Organization Team Supervisor Steve Ewald, WV1X, said. Armstrong Medal: Morgan E. O'Brien for outstanding achievement and lasting contributions to the radio arts and sciences and wireless communication. Sarnoff Citation: William T. Murphy, W0RSJ, for exceptional contributions of a technical or non-technical nature to the advancement of electronic communication. Lifetime Achievement Award: Joseph H. Taylor, K1JT, recognizing his significant achievements and a major body of work accomplished over a lifetime that has advanced the art and science of radio and wireless technology. Henri Busignies Memorial Award: Mischa Schwartz for achievements in the field of communication equipment and contributions to the advancement of electronics for the benefit of humanity. Fred M. Link Award: Dan Clark, W9VV, for notable achievements in land mobile radio communication. Ralph Batcher Memorial Award: Marc F. Ellis, N9EWJ, for significant work in preserving the history of radio and electronic communication. Frank A. Gunther Award: Robert A. Rude, K0RAR, for his dedication to the field of military communication. Vivian A. Carr Award: Mercy S. Contreras, to recognize outstanding achievements by a woman in the wireless industry. President's Award: John E. Dettra Jr, WB4NBF, for unselfish dedication to the work of the Radio Club of America. Elevation to Fellow is made by nomination only to members in good standing for at least the previous 5 years and whose contributions to the art and science of radio communication, broadcasting, or the Radio Club of America are deemed outstanding. The 2016 RCA Fellows are Robert J. Hobday, N2EVG; James H. Kreuzer, N2GHD; Robert E. LaRose, W6ACU; W. Brent Lee; Andrew C. Maxymillian; Stephanie McCall; Thomas L. Morrow; Edward F. O'Connor; Sandra J. Wendelken, and Walt Stinson, W0CP, a former ARRL Rocky Mountain Division Director. Tad Cook, K7RA, Seattle, reports: Over the September 8-14 reporting week, the average daily sunspot number rose from 46.4 to 50.1, and average daily solar flux declined from 95.1 to 88.9. This is just the opposite of what occurred the previous week, when sunspot numbers declined and solar flux rose. Normally, we would expect solar flux and sunspot numbers to track one another. Geomagnetic indicators were very quiet, with the average daily planetary A index declining from 26.6 to 6.7, and the mid-latitude A index dipping from 18.1 to 6.1. The latest NOAA/USAF forecast has solar flux at 85 on September 15-17; 80 on September 18-19; 75 on September 20-24; 72, 78, and 80 on September 25-27; 78 on September 28-30; 82 on October 1-2; 80 on October 3-7; 82, 86, and 82 on October 8-10; 80 on October 11-12; 75 on October 13-14; 70 on October 15-16, and 75 on October 17-21. Predicted planetary A index is 8 on September 15-17; 5, 18, 20, 12, and 10 on September 18-22; 5 on September 23-25; 15, 8, 38, 40, and 42 on September 26-30; 30, 18, 15, 12, and 10 on October 1-5; 5 on October 6-8; 15 on October 9; 8 on October 10-11; 5 on October 12-13; 12 on October 14-16; 15 and 10 on October 17-18, and 5 on October 18-22. Sunspot numbers for September 8 through 14 were 49, 65, 66, 63, 57, 27, and 24, with a mean of 46.4. The 10.7 centimeter flux was 94.5, 91, 93, 86.4, 86.5, 86, and 85.2, with a mean of 95.1. Estimated planetary A indices were 14, 5, 5, 4, 6, 5, and 8, with a mean of 26.6. Estimated mid-latitude A indices were 12, 6, 4, 3, 6, 4, and 8, with a mean of 18.1. This weekly Solar Update is a preview of the Propagation Bulletin issued each Friday. The latest bulletin and an archive of past propagation bulletins is on the ARRL website.